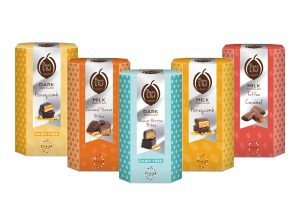 UK chocolate company Whitakers Chocolates is now certified to manufacture chocolate approved by the Rainforest Alliance, Fairtrade and UTZ. Katie Smith speaks to sales manager Ian Webster to find out more. In 1889, John and Rebecca Whitaker established the principles of our chocolate manufacturing business, which through five generations have enabled Whitakers Chocolates to evolve into one of the UK’s leading chocolate manufacturers. 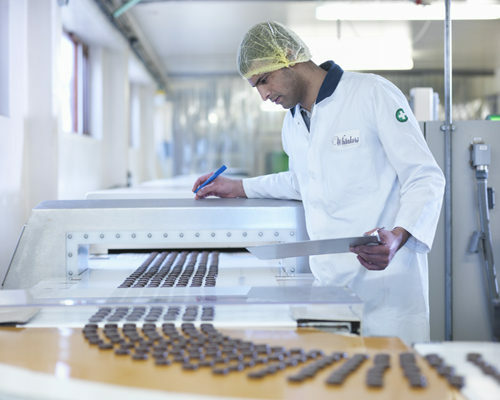 Today, Whitakers Chocolates is one of the few remaining family owned and managed chocolate companies supplying confectionery to both catering and retail markets around the world. We now produce in excess of 10 million chocolates every week and are proud to be a AA+ British Retail Consortium (BRC) accredited manufacturer. How important is sustainability to the company? How exactly will the recent certification broaden the company’s opportunities in international markets? These accreditations will broaden our opportunities in international markets as people become more aware of the programmes and organisations. We are already receiving enquires from customers around the world. Have you already started to produce Rainforest Alliance, Fairtrade and UTZ approved chocolate? If so, when do you expect these products to be available to buy? At the moment, we’re mainly producing Rainforest Alliance, Fairtrade and UTZ approved chocolate for our retail partners under their own label. However, we are also considering further product developments. What are the main challenges within the sector? It’s a very competitive sector with a number of new products launching each year and few succeeding to become established favourites with customers. At Whitakers Chocolates, we have focused on the products that our customers love such as mint cremes, fondant cremes, mint crisps and chocolate neapolitans ensuring they are the best quality available. How has the industry developed over the last five years? 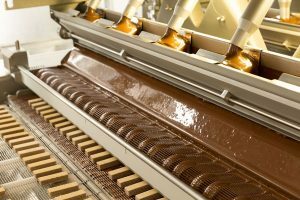 There has been a lot of consolidation among the mid-sized manufacturers and we have seen a growing interest in more British manufactured chocolates using traditional techniques and quality ingredients, capitalising on the heritage of the product. How do you see things developing over the next five years? Over the next five years, we’re expecting to see the development of smaller portion sizes and healthier options. There will also be a continued increase in the awareness of the supply chain, how the products are made and what ingredients are used. As a long-established business trading for 128 years, we have great heritage and tradition and many of the products we make are family favourites that have been enjoyed by customers for many years. However, we have never rested on our laurels and always look to improve, innovate and be ahead of the rest of the market. It is a process of evolution. As sales manager, I’m responsible for UK sales and export covering retail and catering customers. I support a team of five dedicated and passionate sales people who ensure all our loyal and discerning customers receive the best service possible. There is no such thing as a typical day for me. I like to get involved in all aspects of the business and I’m hands on with many of the customers we supply. I can be looking at new export opportunities, dealing with logistical issues or sampling new product development. I spend much of my time meeting or speaking to customers, understanding their requirements and making sure we are giving them what they need.